Rest Assured know a thing or two about making luxuriously comfortable beds with over 100 years of experience. 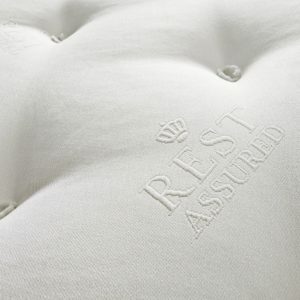 Their bed-making experts use tried and tested techniques to combine pocket springs with premium fillings, to bring you the ultimate indulgence for your back. All Rest Assured beds and mattresses are specifically designed to allow for easy movement and optimum back support. This careful balance provides the right environment for the fluids in your spine to repair from aches and pains whilst you receive personalised support for every inch of your body thanks to our pocket springs.